1. Preheat a grill or grill pan to medium high heat. Season the asparagus and avocado with olive oil and salt. Place asparagus and avocados on the grill and turn every minute for 4 minutes total. 2. 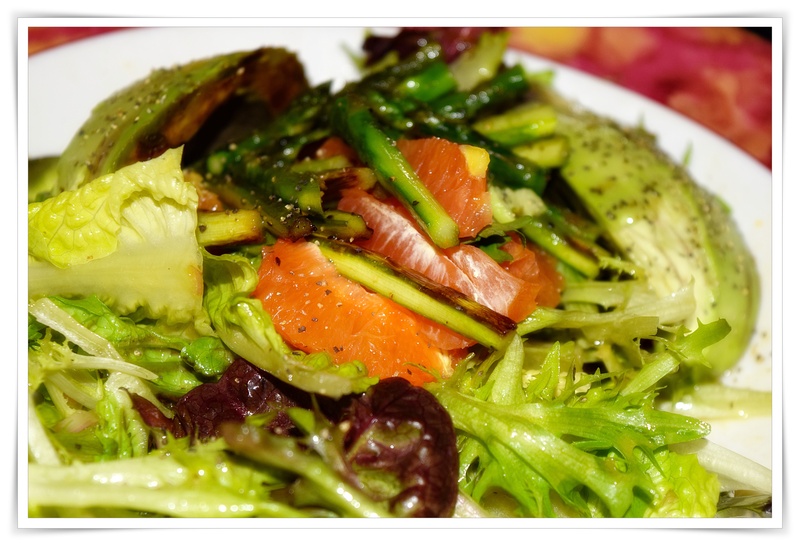 In a large salad bowl, place avocados, asparagus, citrus segments, and mixed lettuces. Drizzle in citrus horseradish vinaigrette and season with salt. Gently toss salad and serve in chilled salad bowls or plates.